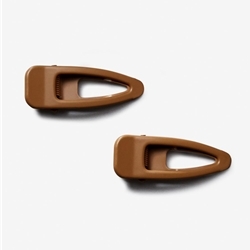 The Capezio® Hair Clips are available in Black, Blonde, and Dark Brown, and come in Adult One Size Fits Most. Each package includes 2 hair clips. Perfect for rehearsals and performances, these hair clips work for all types to ensure your hair stays the way you want, all day.